African governments need to be a lot more sincere about embracing the benefits of a digital broadcasting environment that the completion of the migration from analogue transmission is set to bring on the continent. Over a decade after the World Radio Communication Conference resolution for the migration from analogue to digital broadcasting services, and two years after the International Telecommunications Unions(ITU) mandated deadline for switch off from analogue to digital television broadcasts, the continent continues to battle. Some African governments have remained extremely short-sighted about the process and continue to understand the implications, planning and funding the aspects of migration from either political and/or vested commercial interest points of view. The Economic Community of West African States (ECOWAS) set this June as a new deadline for its states to complete migration. How the region fares will be interesting in that it will either influence or allow reflection on progress in the other regions. In East Africa Rwanda, Uganda and Kenya have already fully migrated, while in the South Malawi, Tanzania and Namibia have taken the lead. However, it is the failure by the continents two strongest economies, Nigeria and South Africa to meet the ITU deadline, that is not only worrisome but remains telling of the realities and challenges in the face of this digital reality. Africa needs to recognise that digital migration is more of a ‘developmental’ than ‘political’ process. However, coming from a background where controls on the creation and distribution of information, opinion and the media are characteristic, it comes as no surprise that the process is entangled in political sensitivities, monopolistic tendencies and lack of consultation. Despite their critical role in the process some African governments have kept a complete ‘grip’ on digital migration, often having a bias on select aspects of the process over the others, depending on which one best suits their interests. This has led to uneven attention on the policy and regulation, technical , consumer interests and spectrum issues of migration as they relate to migration within their jurisdictions. While funding of the transition and eventual switch over, have been cited as the biggest hurdles on the continent, it is also possible to conclude that this is largely because African governments have not been open enough to explore the options available. Of late the talk is on the adoption of Public Private Partnerships (PPP) as a possible solution for the financing of digital migration in Africa. Currently Chinese pay-TV provider StarTimes Network technology Group, South African Gotv and Inview Technology Limited have emerged front runners in partnering states like Nigeria, South Africa, Ghana and possibly the Democratic Republic of Congo and the Ivory Coast on digital migration efforts. However, PPPs may not be an ideal for not so liberal states, as the option is premised on a mutually beneficial agreement that allows a financier to run the channels for a period before handing them over to the government. Keeping tabs on the way that the partnership pan out is critical at this moment as it will define their future on the continent. Already there have been hiccups as seen in the precedent breaching of a US$97million contract by the Ghanaian government with the StarTimes. The sale of the digital dividend spectrum is another financing option. Digital dividend spectrum is made available by the transition of terrestrial television broadcasting from analogue to digital and its sale should be through public auction. So far sale of spectrum in Africa has had its fair share of controversy with the lack of transparency in its auctioning and lack of clarity the custodian of the spectrum where the broadcasting or telecommunications regulation remains fragmented. 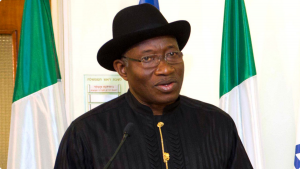 In Nigeria former president, Goodluck Jonathan in 2015 sparked controversy when he directed the regulator, Nigerian Communications Commission (NCC) to allocate spectrum at only US$15million to internet service provider, Cyberspace, run by one of the countries richest businessmen, Jim Ovia. After Ovia returned the spectrum, its sale to MTN last year has also not been spared the controversy. In Zimbabwe, the US$200million sale of the spectrum, said to be key in the financing of the country’s migration, went to state owned Mobile Network Operator (MNO), Netone. Following failure by the MNO to honour payment plan, government seems to be dragging its feet on the re-auctioning of the spectrum. In an appearance before the Parliamentary Portfolio Committee on Media, Information and Broadcasting Services in July last year, Finance Minister, Patrick Chinamasa said that the value of the spectrum would have to be revisited as it had been subsidised to suit sale for a government entity. The lack of transparency around sale of the spectrum and guidelines on regional pricing, overshadows the fact that Africa was the first region to come up with a harmonised band plan for digital dividend bands. African digital migration plans should have included clear spectrum issues – its use, timelines for clearing the band and awarding to potential buyers. Buy in from all broadcasting stakeholders increases the chances of a not only smooth but a successful transition. Africa’s lack of inclusivity in the process is evident in the lack of adequate preparedness on switch off and number of courts cases over various aspects of digital migration in a significant number of countries. 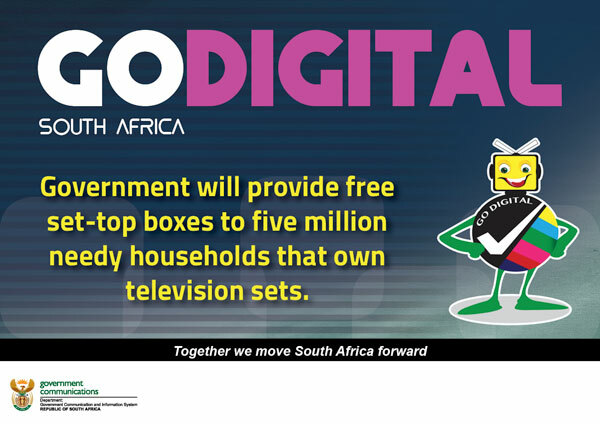 the furore between eTV, M-Net and government over the encryption of set-top boxes. In March last year, three of Kenya’s major broadcasters Nation Television , Kenya Television Network and Citizen TV stopped broadcasting after the Communications Authority switched off their analogue frequencies. In Tanzania and Rwanda there was a blackout on television as people had not acquired set top boxes by the switch off. That disputes arise with such ferocity and with much public outcry is an indication of governments poor consultation with broadcasting stakeholders and consumer rights groups from the onset. It is also very clear that in most jurisdictions underlying contestations around the licensing of players, and ultimately control of the sector are a reality. In Kenya, the licensing of only two signal carriers Signet, a subsidiary of the Kenyan Broadcasting Corporation and Chinese-owned company Pan African Network Group were a source of controversy as broadcasters said they lacked trust in the two. It must be agreed that while the adoption of a ‘wholesale’ distribution model as adopted by Kenya is set to ease costs on infrastructure, the fact that licensees are linked to government raises genuine concerns on censorship and control. In Zimbabwe, the censorship and control aspects come in the form of the notable silence on the licensing of private independent television players. According to the digital migration plan, six of the twelve television channels were initially meant to be occupied by private broadcasters. However, it seems that the country’s US$200 million digital migration investment is a mere opportunity for the government to further entrench its monopoly on television broadcasting via the state controlled public broadcaster, Zimbabwe Broadcasting Corporation and the uniformed forces which will be awarded one of the independent channels. Fears of liberalising the broadcasting and telecoms sectors, it seems, will haunt Africa for longer than we anticipated. They will be carried over into the digital era as measures are put in place for governments to control content distribution. But African governments must not forget that either way citizens will have to pay for content. Whether payment will be made through monthly subscriptions as seen in Tanzania and Rwanda or licence fees as anticipated with free digital television in Nigeria, it must be worth it! Digital migration is the opportunity that the continent has been waiting for to exploit and represents new opportunities for utilising and distributing Africa content. What Africa needs in this new digital era are solid local content policies that will not only boost radio and television content producers and existing broadcasters economically; but also preserve African culture through the promotion of the diverse locally created content. This will undoubtedly reduce expenditure on imported programming. Content policies should take into consideration digital content production, commissioning, distribution channels that have shifted owing to the technological advancements in the industry.